A server is a storage facility where files and data of any online page are stored. From blogs to website to internet gaming files, they are all stored in the server. A server rack which is also known as a server cabinet is a cabinet where the server and other networking equipment are been stored. According to Industry standard the server rack is 19 inches wide and the height always depends on how many server or other equipment that would be stored in it. The server keeps the company or individual network system working fine, so maintaining it is very important. 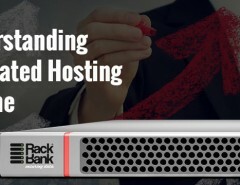 Top IT companies pay attention to their server racks so as to get their server working at top performance at all time. The benefit which they get from buying a good server rack and maintaining it would be stated below. A good server rack would come in a fashion that not only gives the owner chance to expand whenever needed but would make sure it is able to hold the weight of additional equipment. Rack server made with inferior material might have space for additional equipment but wouldn’t be able to hold additional equipment without braking. A great server rack should also be adjustable. Being adjustable gives the owner the space to change server without the fear of needing to get another rack. 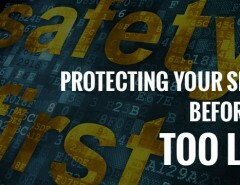 Security is important in a network system. The server shouldn’t be handled by someone with bad intent as the owner would pay a high price if that should happen. The rack should be very secure, made with locks that can’t be accessed except by someone who has the combination. Some racks come with front and side lock and upgrades can be made to enhance its security to make it completely secure from intruders. All equipment requires regular maintenance for them to perform their best. Server and network equipment are no difference. The rack must make routine maintenance an easy process. Some racks are fashioned in such a way that their door can be removed to get easy access to its compartment. If security won’t be a problem, this can be left that way to increase its ventilation. A server is an electronic system that gets warm at intervals. The rack needs to have good space to allow moderate flow of air in and out. Since the rack is made of metal, it can get heated really fast. Having a rack that has a large amount of perforation makes it easy for air to get in and cool the server. If the air flow problem is solved, a lot of problems like overheating get avoided on the way. Avoid a rack that is made by a specific company and works only with equipments made by them. Different companies tend to do very well at producing different equipment. You might want to get the best of different which require you patronizing different brands. A good rack would be able to hold equipment from whichever manufacturer you choose to buy from. There is nothing as important as getting a server cabinet that would serve you right whenever you are in need of one. Sometimes this might come at a high price but it is always worth it. The qualities listed above would be what you would enjoy when you do it right.